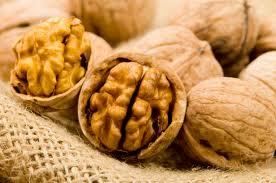 A new research study claims that a diet rich in walnuts can be effective for BP patients suffering from stress. Everyone might not be aware of the effectiveness of Walnuts, the brain shaped dried fruit reduce stress, cholesterol & even blood pressure. According to the researchers from Penn State University, this is the first study which found walnuts reduce blood pressure during stress. The study found that people suffering from high levels of bad cholesterol had lower blood pressure during stressful situations, after intake of walnuts for three weeks. The study published in the Journal of the American College of Nutrition said that people suffering from stress are at higher risk of heart disease. But patients should be given diet rich in walnuts & walnut oil to keep their cholesterol & BP under control during stress.